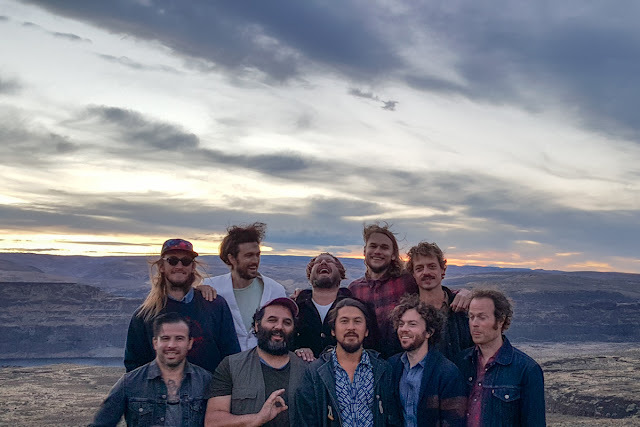 Edward Sharpe and The Magnetic Zeros recently released a video for their track "No Love Like Yours". Check out the Olivia Wilde directed clip below. Edward Sharpe And The Magnetic Zeros are releasing their new album, PersonA, April 15. They're doing a slew of shows. Sorry New York, their show at St. Ann and The Holy Trinity Church is sold out! A good deal of the songs on PersonA were written by all ten band members collectively. Writing would often begin with a member playing his instrument not even knowing where the song would go with principal songwriter and singer Alex Ebert encouraging and directing the song's shape yielding wonderfully unique ends. It's little wonder that Rolling Stone wrote that PersonA is the band's "most risk-taking, freewheeling album yet."